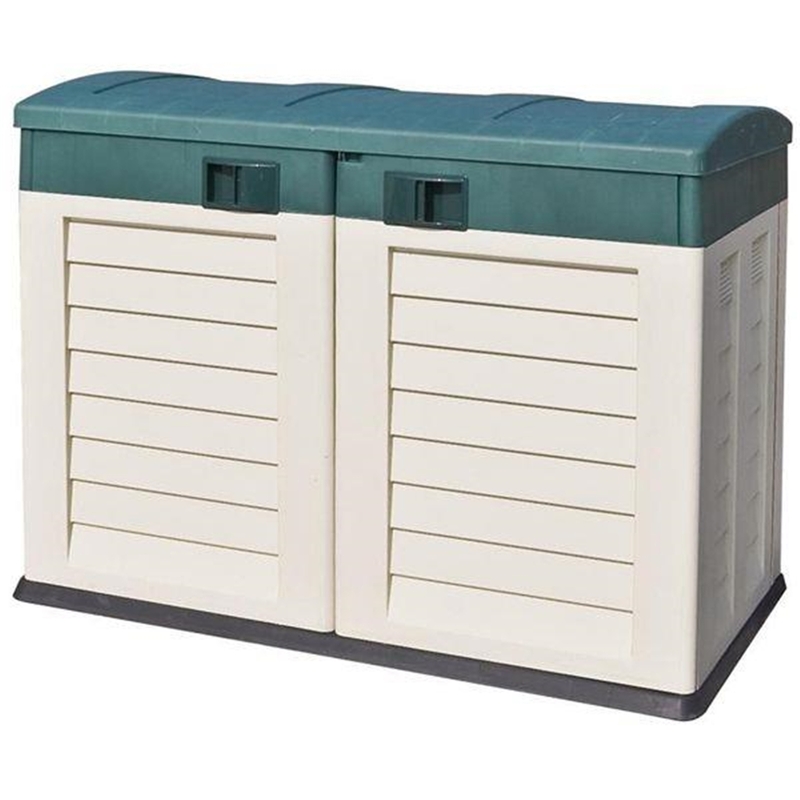 The 4'7" x 2'0" plastic garden store/bench is the ideal garden accessory. 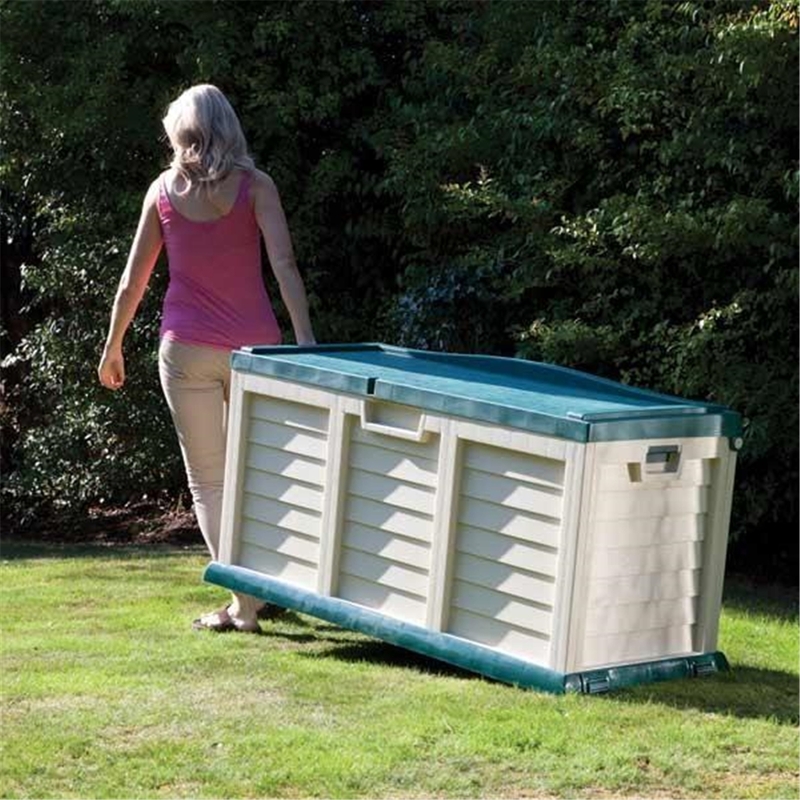 It includes a light weight lid for easy access and can also be used as a bench for extra seating. The store/bench is easily moved due to the two wheels at the end. 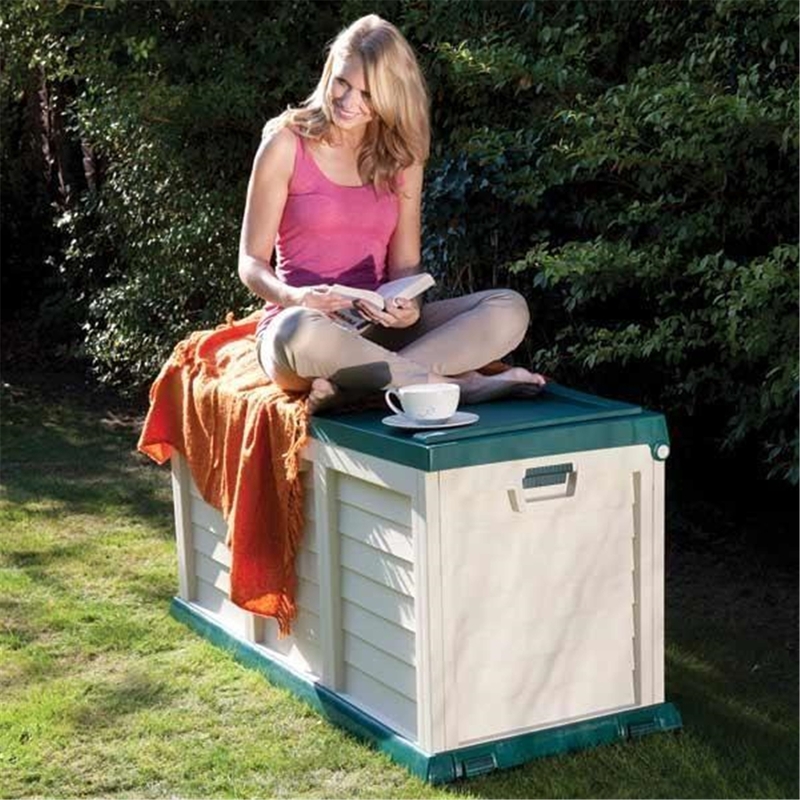 Also includes a sturdy floor which makes it weatherproof to protect your accessories.